Are you interested in learning more about workboxes? Read on to learn more about Sue Patrick's workbox system, get ideas for workbox activities, and view pictures and photos of work boxes used by other homeschoolers. Sue Patrick is a college-educated, homeschool mom who developed the work box system as a structured teaching technique for her autistic son. Although the system is ideal for children with ADD, ADHD, Aspergers Syndrome or other special needs, it is also a wonderful tool for teaching gifted and neurotypical children. The workbox system can be used with any homeschool curriculum. It involves giving each child 12 boxes that each house an assignment or an activity. Boxes are numbered 1 through 12 and stored on a shoe rack or bookshelf. Students are given a schedule strip that helps them progress through the activities in order. Using work boxes helps you organize your school day by segmenting schoolwork into manageable pieces so your children learn how to work independently. It also shows you how to present work in a way that is structured, yet visually appealing to children, thus setting the stage for success. The workbox system is inexpensive, and easy to set up and implement. Many moms report accomplishing more, while facing fewer behavioral problems and learning challenges when using workboxes. Here's where you can find additional information about Sue Patrick's Workbox System, along with a 20-drawer organizer that can be used to organize your system. Do you need ideas for filling workboxes? You don't have to limit yourself to filling each box with schoolwork. Some fun and easy workbox activities are books, games, puzzles, worksheets, coloring pages, cutting pages, file-folder games, handwriting sheets, notebooking pages, copywork, poems, art prints, art projects, science projects, math manipulatives, play doh and lacing cards. 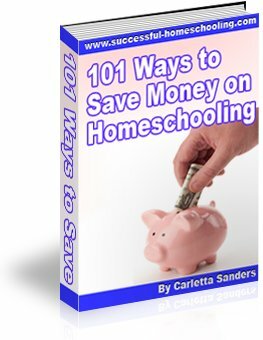 Here's where you can find free homeschooling worksheets and printables that you can use. Once you understand the workbox system, you can adapt it to meet your children's needs. For example, Kari decided to use ice cube bins that she purchased for $1.50, and label them with vinyl mailbox stickers. As you can see, they can hold books upright and are roomy enough for games. And because they are plastic, they won't fall apart like magazine holders. They are also compact so I can have plenty of room for when Little Snail gets her own boxes. The numerals were about $1 and they are vinyl mailbox stickers. Follow this link to read more about Kari's system. Scroll to the bottom of this page to view photos submitted by other homeschoolers. Use the form below to share your photos. Do you use Sue Patrick's workbox system? Help inspire other homeschoolers by sharing photos of your workboxes and describing how you use work boxes in your homeschool.